An international team led by scientists at the National Institutes of Health is the first to discover a new way that cells fix an important and dangerous type of DNA damage known as a DNA-protein crosslink. More of these deregulated genes were found in samples from the surrounding tissue than in the tumour itself – suggesting that the environment around the tumour plays an important role in the development and progression of the disease. The Foundation for Tobacco-Free World is unlikely to win hearts and minds in the tobacco control community, said Matt Myers, president of the Campaign for Tobacco-Free Kids. I spent five years living and breathing the dialogue and the conflicts it shot into ACS and NCI. These conflicts involved PR firms that also represented tobacco companies. Other conflics included pharmaceutical companies and food companies. The presumption that tobacco money comes with strings attached formed the intellectual foundation of the policy Seffrin instituted at ACS. The policy was strict, but, alas, it was also porous. The John Seffrin of yore sponsored the National Dialogue on Cancer, which ran into significant conflicts of interest involving tobacco. I would argue that it was the most important story in oncology from 2000 to 2005. Compared to people who didn’t have bariatric surgery, patients who did were 33 percent less likely to develop any type of cancer during the study. They also had 40 percent lower odds of being diagnosed with tumors that are associated with obesity. Supported by the ACE Programme, a joint NHS England, Cancer Research UK and Macmillan Cancer Support initiative in England, the Trust developed a new way for opticians to refer people directly to the neuroscience department at their local hospital for rapid diagnostic tests and treatment. And the experience of one patient suggests this is worth exploring further. Within two years they hope to have improved the gene test to include up to 300 genetic variants that are known to affect the likelihood of developing breast cancer. 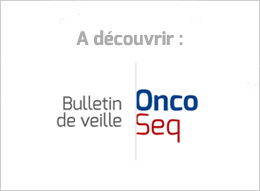 These data, presented at the European Society for Medical Oncology (ESMO) 2017 Congress in September, demonstrated that abemaciclib plus an NSAI resulted in a statistically significant improvement in progression-free survival (PFS) and objective response rate (ORR) compared to an NSAI alone in women with hormone-receptor-positive (HR+), human epidermal growth factor receptor 2-negative (HER2-) advanced breast cancer. I was able to identify 51 targets, mentioned in database listings – 19 targets in liquid malignancies and 32 targets in solid malignancies. Translation: we're still not sure this will work, but we better make sure if it does we can maintain our lead. The pharma giant has launched a Phase III study combining its checkpoint star with the Bristol-Myers drug. Researchers are recruiting 548 patients at sites around the world. The MAA submission is based on positive progression-free survival (PFS) data from the Phase III PACIFIC trial. EMA also has been working to figure out how to rework its assessment of medicines to make up for the staff losses after the UK has left the EU, with final recommendations and the final budget to be presented at the next management board meeting in December. Approximately 33 percent of the new grant awards fund studies to accelerate cancer research by enrolling patients with rare forms of cancer. Guido Rasi, who runs the agency, says it’s clear that many aren’t waiting for the moving notice. He told the FT that 7 senior staffers at the EMA had left since Brexit was passed, an exodus unlike any he’s seen. In a deal similar to the one that turned the tide against AIDS, manufacturers and charities will make chemotherapy drugs available in six poor countries at steep discounts. While our larger cultural conversation around cancer focuses on survivors and miracles, we don’t hear the stories of dying cancer patients — they are often too sick or too busy to tell them. The stories of the dead are lost.